Season opening growing pains and a broken lifter arm derailed Australia’s Shane Tucker’s season debut in Pro Stock at the 59th annual Lucas Oil NHRA Winternationals. 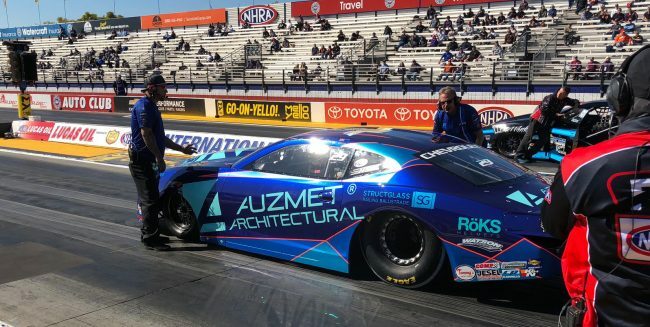 The Auzmet Architectural/StructGlass Chevrolet Camaro showed promise on its two full runs but in the final qualifying session a lifter arm broke and ended Tucker’s bid to qualify at Auto Club Raceway at Pomona. The team tested in Phoenix but the quick turnaround heading into the first race caught up to the Pro Stock team that is making its first bid to race the full Mello Yello Drag Racing Series schedule.